Revolution Chiropractic - 5 Reasons YOU need to be taking an Omega-3 supplement. 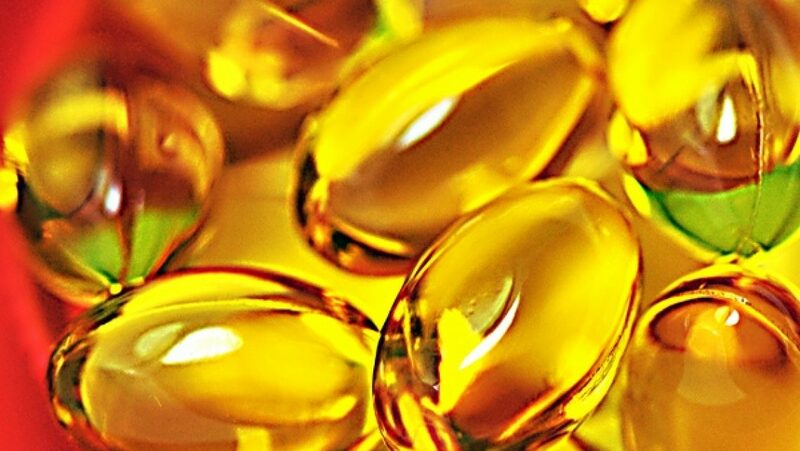 5 Reasons YOU need to be taking an Omega-3 supplement. Omega-3 fatty acids are essential cornerstones of human nutrition. They are deemed essential because they can only be obtained through proper diet and nutritional supplementation, and play a key roll in many bodily functions. Omega-3’s are found in nature in 3 main forms: ALA, EPA, and DHA. EPA and DHA are found in nature primarily in cold water fish and are the active forms that are used by your body. ALA is found in nature in plants and is slowly converted in the body to the active forms of EPA and DHA. Unfortunately, many people lack some of the key enzymes necessary for converting ALA to EPA and DHA, making a higher dietary intake of EPA and DHA necessary. An accumulating body of research shows that the typical modern diet or standard American diet (SAD) does not provide a sufficient amount of Omega-3’s for optimal health. Additionally, insufficient conversion of ALA to the active EPA and DHA may reduce the amount of available Omega-3’s in your body for use in organs and tissues. Symptoms of Omega-3 deficiency include dry, itchy or flakey skin, poor sleep quality, poor circulation, eye discomfort, mood imbalance, and more. Reduces inflammation. Omega-3’s can dampen inflammatory reactions. Inflammatory reactions are important in combating infections and acute traumas, but they can be harmful if activated too strongly or if we develop chronic systemic inflammation. Improves blood pressure and cardiovascular health. Omega-3’s have long been known to benefit cardiovascular health. A well-known study found that just 1 gram a day of Omega-3’s had a significant impact on cardiovascular health after 4 months of consumption. Benefits included improved modulation of fat in the blood (e.g. healthy cholesterol levels), and healthier blood pressure levels. Improves brain and nervous system health. Supplementing Omega-3’s have been shown to be directly related to improved measures of cognition, performance, and behavior among otherwise healthy children with below average reading ability. They have also been found to help improve and balance mood. Several studies have found that people who consume omega-3s regularly are less likely to be depressed. Additionally, when people with depression or anxiety start taking omega-3 supplements, their symptoms improve! Improves Visual acuity. Eating oily fish at least once per week has been found to enhance visual clarity and reduce commonly occurring visual deterioration in adults. Another study found that the women who ate lots of meat and little fish were deficient in omega-3 fatty acids, and their babies didn't do as well on eye tests as babies from mothers who weren't deficient. The results were noticeable as early as two months of age. Reduces joint stiffness. A dose of 1200 mg per day of Omega-3’s was found to improve back and joint discomfort in one study. One-to-three grams of fish oil each day can help reduce the intensity of joint symptoms like morning stiffness, tenderness, swelling, and discomfort. The omega-3 fatty acids present in this amount can also increase blood flow throughout the body during exercise, which can help reduce joint pain and swelling. There is so many more benefits to Omega-3’s, far too many to list here. Your best bet in getting adequate Omega-3 in your diet would be to eat wild-caught Salmon or other wild-caught cold water fish 2 to 3 times per week. If that isn’t achievable, you need to be taking a supplement. So, what should you look for in a high-quality Omega-3 supplement? The amount of EPA and DHA in each serving is a good starting place. Ideally, you want to find one that has a ratio of EPA to DHA of 3:2 and has a total EPA/DHA content of over 1200 mg – the higher, the better. The next and equally important thing to consider is the quality. Our bodies prefer Omega-3’s in Triglyceride form, however, many conventional Omega-3 supplements are packaged in the semi-natural Ethyl-ester form, which is resistant to the digestive enzymes that enable fat break down and absorption. Omega-3’s that are available in Triglyceride form have been found to be 70% more digestible and absorbable than those in Ethyl-ester form, therefore, when searching for an Omega-3 supplement, look for a brand that is packaged in Triglyceride form. They will be more expensive, but you will get way more bang for your buck. Bonus Fact: Omega-3’s have been found to support better blood sugar balance, which could be beneficial in the prevention or management of type-2 diabetes. Harvard researchers have found that Omega-3 supplementation increases the amount of adiponectin in the blood, which is a hormone that is linked to insulin sensitivity. Higher levels of adiponectin have also been linked to decreased risk of heart disease.